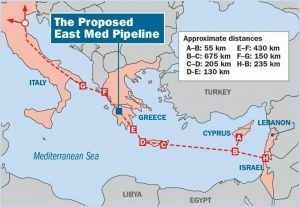 Major news has been taking place in the oil and gas industry as Azerbaijan has been working with Turkey and her NATO allies to build what is the most comprehensive, interconnected series of pipelines yet constructed going from the oil sands of Baku and the Turanian Basin to Europe. These lines pose a direct threat to Russia not merely in her status as a veritable monopoly gas supplier to Europe, but that they represent a US-German plan to cut Russia off from her own backyard gas supplies with the anticipation of a major conflict in the future. The race to build the railways and pipelines by NATO and the race for Russia to build her own pipelines and stop their moves is the direct preparatory work leading up to a third major global European conflict. Southern Gas Corridor project (SGC), which envisages transportation of Azerbaijani gas to Europe, is important for Hungary in terms of diversification, Hungarian Ambassador to Azerbaijan Viktor Szederkenyi told Trend. “For Hungary energy security is a priority. So we actively seek opportunities for diversification of the energy flow, especially natural gas imports. Azerbaijani gas is a real alternative and as such it will be in our focus when looking at diversification options. The Southern Gas Corridor is important for us to diversify the sources and directions as well, so we examine this project as a good option,” said the envoy. Szederkenyi said Hungary appreciates the role of Azerbaijan which initiated this big project and will supply it with gas. “One of the tasks now is linking Hungary to the Southern Gas Corridor through interconnectors between the countries in our region. Through the TAP and TANAP projects Azerbaijani gas will be commercially available on the European markets – this is great news,” said the Hungarian diplomat. He went on to add that SGC has a strategic relevance. “Not only Hungary but also all countries of Europe, interested in diversification of their sources of supply, value this. The SGC will allow Europe to diversify natural gas sources and transport routes and it changes the energy balance in South-Eastern Europe. This strengthens the openness of the European energy market and the actual competitive position,” noted Szederkenyi. The diplomat said it is also important that the Southern Gas Corridor can be extended by new users and source countries in the future. “In addition, the success of SGC can be used in cooperation in other areas, such as alternative energy, environmental issues and so on,” he said. Southern Gas Corridor envisages transportation of 10 billion cubic meters of Azerbaijani gas from the Caspian region through Georgia and Turkey to Europe. On May 29, Baku hosted the launch ceremony of the first phase of the Southern Gas Corridor project. The gas from the Azerbaijani Shah Deniz field has already gone through the first segment of the Southern Gas Corridor – from the Sangachal terminal to the expanded South Caucasus Pipeline. The Southern Gas Corridor project aims to increase and diversify European energy supply by bringing gas resources from the Caspian Sea to markets in Europe. The Southern Gas Corridor comprises the following four projects: (i) operation of Shah Deniz natural gas-condensate field (“SD1” project) and its full-field development (“SD2′” project), (ii) the operation of the South Caucasus Pipeline (“SCP” project) and its expansion (“SCPX” project), (iii) the construction of the Trans-Anatolian Natural Gas Pipeline (“TANAP” project) and (iv) the construction of the Trans Adriatic Pipeline (“TAP” project) (SD2, SCPX, TANAP and TAP collectively, the “Projects”). The Projects have an estimated investment cost of approximately $40 billion. Upon completion, the SD2 project will add a further 16 bcm of natural gas per annum to 10.9 bcma (maximum production capacity) already produced under SD1 project. Notice that in both photos of the TANAP pipelines, at no point do any of those lines cross into Serbia even though she is one of the neighboring countries. The reason for this is that while Serbia is comparatively very weak, and outside of economic or other geographical considerations, she has been and still technically is an ally of Russia and her strongest ally in the Balkans. The reason why Hungary wants this pipeline is for more than “security,” because Hungary is a historical ally of both Germany and Turkey and has been for centuries. Turanian nationalism is strong in Hungary because the Hungarian people descent from the Huns, and while Europeanized originally came from Altaic plains. It is why their language is only one of three in Europe that is of Turkic origins (the other two being Estonian and Finnish, as both peoples are also considered Turkic) outside of the Turkish language itself. Hungarian President Viktor Orban made himself an international star for his comments against “migrants” and in favor of nationalism, but Orban’s education was also directly funded by George Soros’ Soros Foundation, and he was tutored by Soros fellow Zbignew Pelczynski. Orban will speak against one person or initiative in public, yet in private he will go and support them as a close ally. Orban has spoken out against Turkey and for “Christian Europe” many times, yet here Orban’s government is shown worked with Azerbaijan, which means by extension he is also talking with Turkey, and Turkey and Azerbaijan are close allies and Azerbaijan’s ability to transport said oil depends on Turkey’s cooperation, about extending the Turkish oil pipeline into his own nation. Such an action will not support “Christian Europe,” but if anything will drive the Turco-Teutonic war machine to wage war against Russia and Christianity in the name of the same racist, pagan nationalism that put Jesus to death at Calvary. In the future, Hungary should not be looked at as an “ally,” but as a nation who, out of the same nationalistic impulses and guided by her past friendships, will stand with pagans and Muslims to help persecute Christians.